A beautifully framed cork board turns everyday notes and messages into an ever evolving work of art. It's a great way to add function to your home without sacrificing style. This high quality, 100 real wood decorative cork board features a whitewashed, distressed frame with distinctive outer edge accents. The finish is creamy white with tan distressing and weathered patches. It is perfect for shabby chic, coastal, or casual beach decor. 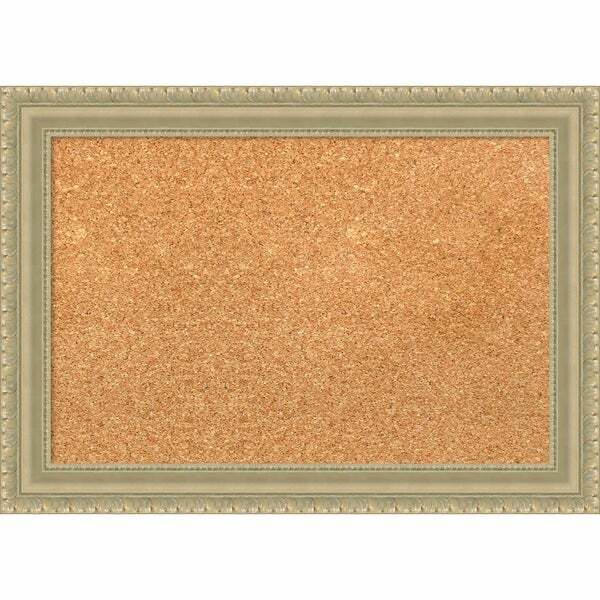 This cork board is handmade in a small custom art and frame shop in the American heartland - you can be proud to display it in your home.